I love animals! That’s why when I was planning for my trip to Singapore, the ticket to the Singapore Zoo was the first thing I booked. Until it came to me that the pandas are located in a different area, so I also booked a ticket to the River Safari! My hotel is near Rochor Station – from there I rode the Downtown Line (Blue) from Rochor Station to Bukit Panjang. And then, transferred to the North South Line (Red) and rode the MRT from Newton Station to Ang Mo Kio and finally rode bus 138 to S’pore Zoo! This is also the first activity I did at Singapore. I was travelling alone so I’m very much thankful that I have my tripod with me so that I can take selfies, haha! By the way, this post will be heavy on pictures as that’s the only thing I did in the zoo – take pictures of all the animals! Look at this turtle doing its daily yoga routine! *kidding! * There are so many different species of turtles in the zoo! This monkey looked at me as if he/she knows I’m taking a picture! These otters are so quick it’s almost impossible to take a picture of them! I’m thankful to the monkey for distracting them for a while as I take this photo. I was able to see the elephant show and just a tip – don’t sit on the first row or expect to be wet! The elephants performed numerous tricks and they were very entertaining. I spent most of my time admiring this white tiger! It’s my first time to see one! I think it’s the only tiger in the zoo. Isn’t it adorable? However, white tigers are white due to lack of the pigment pheomelanin and from what I’ve read they’re more prone to abnormalities like having crossed eyes. This is supposed to be where the polar bear is. I’m not sure why it’s not there but many people are waiting alongside me to get a glimpse of the polar bear and we were all disappointed not being able to see it. I’m very happy with my shot of these lions! They were sleeping when I went there and then the male lion stretched and got up going over to the female but it seems that the lioness doesn’t feel like getting up yet, haha! I’m not sure if I have already seen a rhino before but these are white rhinos and they were just brought back from the brink of extinction! Look at it, so majestic! Another animal I admire because of their long legs! I just realized my obsession for long legged animals, haha. This giraffe is so cute and adorable!!!! Right after my trip to the Singapore Zoo, I went straight to the River Safari. I booked my ticket just to see the pandas but I’ve experienced so much more! More turtles! I’m so lucky with my shots! It’s hard to take a nice photo because of the reflection from the aquarium and they’re also so quick underwater! I was really amazed by the big fishes in this aquarium! It’s a glimpse of what’s in the deep parts of oceans! This is it!!! The entrance to the panda forest! The red panda!!! So cute and fluffy!!! FUN FACT: Red pandas are dubbed as the “original” pandas because they are the first pandas to be discovered! He’s still very sleepy which makes him a lot more cuter!!! Giant panda!!! This giant panda is Kai-Kai, he is super shy but at that time he’s also still very sleepy, I’m lucky he faced the camera for a while. Here’s a photo op with River Safari’s giant panda display, not as cute as the real one though. 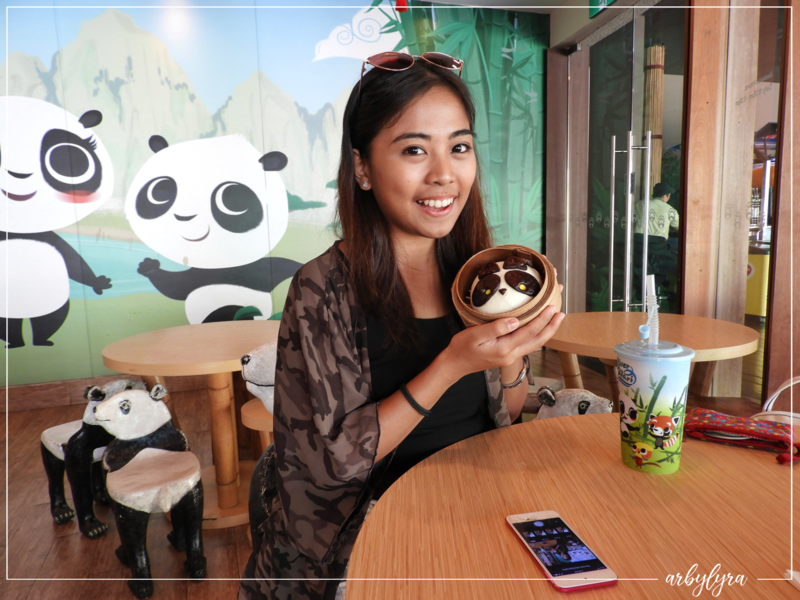 A must try when visiting at the River Safari is dining at Mama Panda Kitchen! 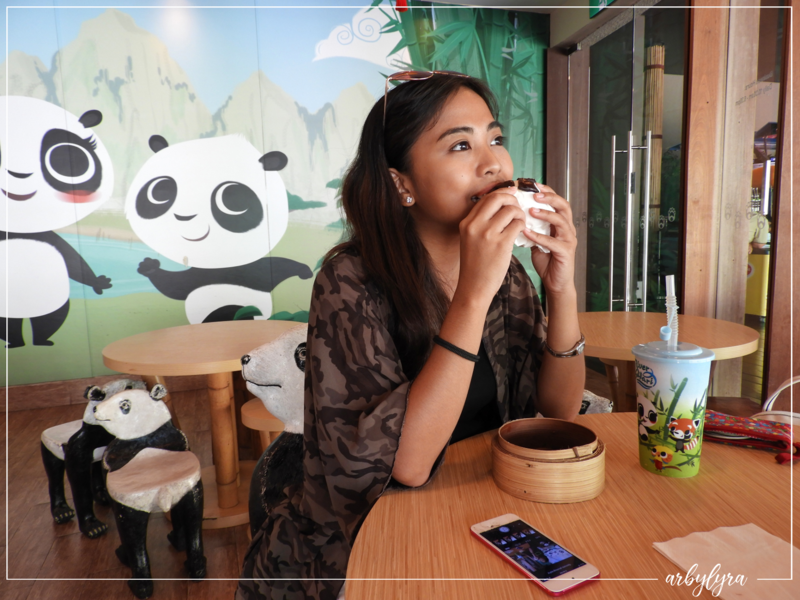 Pandas everywhere – the chair, the wallpapers and even their menu! 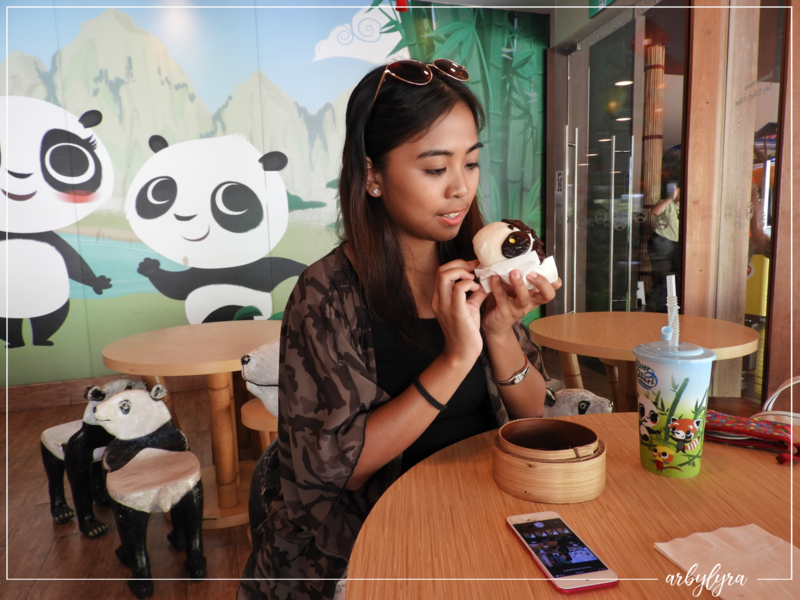 I love their Red Bean Panda Pao! 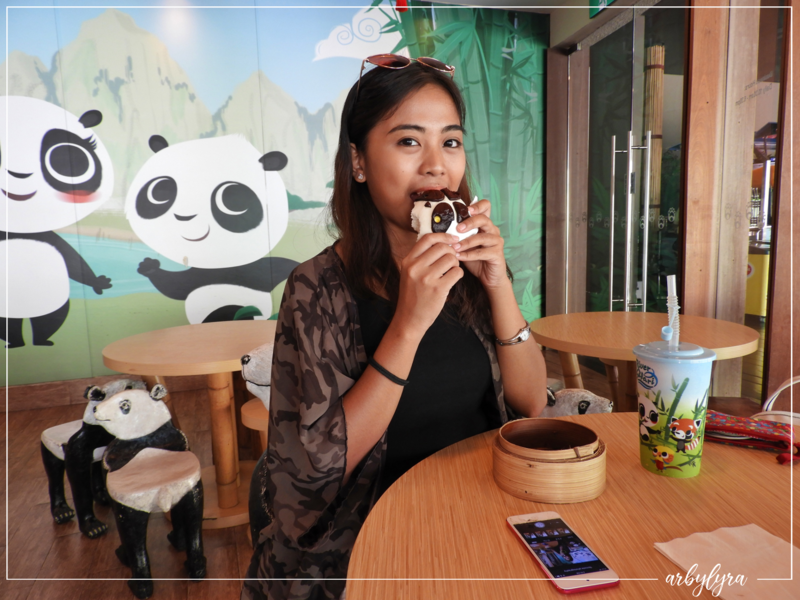 I also tried their Chocolate Panda Pao but it’s too sweet for me. Also, you get a free River Safari tumbler when you order drinks because they don’t use disposable cups and straws. 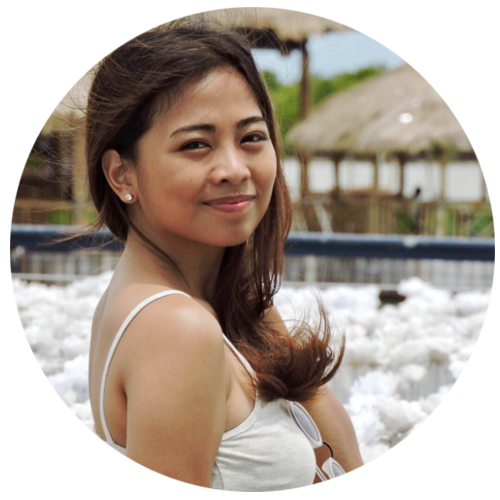 After eating at Mama Panda Kitchen, I went to the Wild Amazonia and they have a short program that teaches kids the importance of proper waste management because – plastics are the scariest monsters in our planet right now. This pelican performed a trick for us to show where our garbage must be properly placed. I think it’s also my first time to see a pelican in real life! The last area that I visited inside the River Safari is this water tunnel which showcases more big fishes, stingrays, and even manatees! I haven’t captured a photo of all of the animals but you can check out Singapore Zoo and River Safari‘s websites for more information. They have the park maps uploaded in their site to serve as guide if you want to plan ahead of your visit. You can also buy your tickets online. I bought mine from Klook and availed huge discounts because I booked months in advance! I don’t see it often in most itineraries but Singapore Zoo and River Safari are a must in your to-go places when visiting Singapore, especially if you love animals!